Everywhere you look people are talking about cloud computing, but what is it and why do we need it? 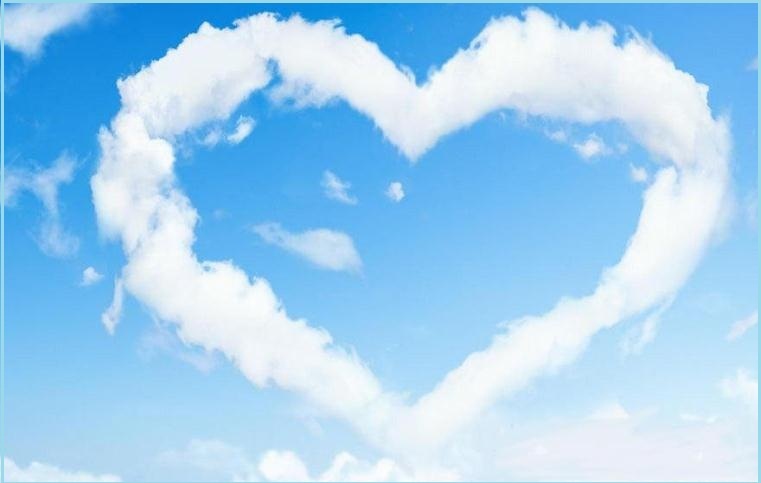 One of the most irritating pieces of jargon to emerge in the last couple of years is ‘the cloud’: it seems almost everyone is talking about cloud products and services in TV adverts. But what precisely is the cloud and how can computer users benefit from it? The cloud is nothing new or extraordinary, but many companies have sensed money-spinning opportunities, so the concept is being hyped in adverts. Though there’s little mystery about it, many people are confused about ‘the cloud’. 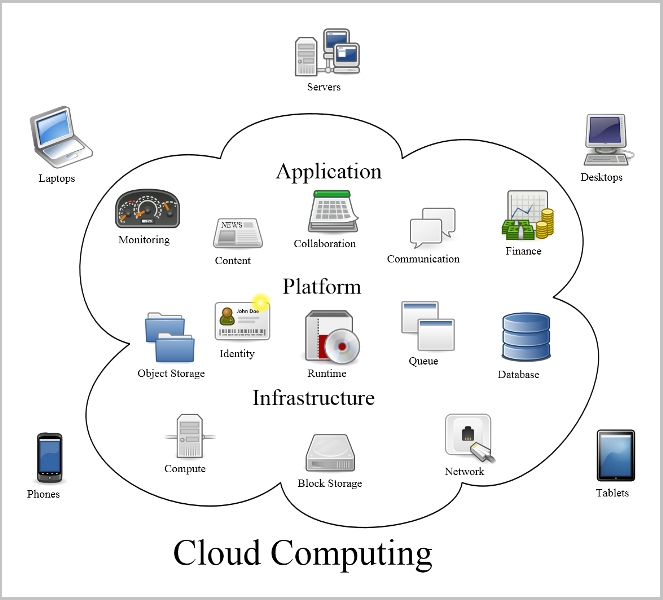 Cloud computing provides computation, software, data access, and storage resources without requiring cloud users to know the location and other details of the computing infrastructure. If you access email online through web mail services such as Hotmail or G mail, then you use cloud-based email. Online storage services such as Drop box and Windows Live SkyDrive exist in the cloud, while Google Docs is a cloud-based office suite. The key difference is that, in most cases, the code that runs the software is stored on a web server and does not run from your PC’s hard disk. You interact with the application over the internet connection, usually over a web browser. Cloud services are often free, supported by advertising or the lure of improved, premium packages. A good example of this is online storage. Drop box, for instance, provides a free version of its cloud-storage service that includes 2GB of space for user files, with paid-for options for those needing more online storage. Rather than keeping files solely on a PC, a cloud-storage service like Dropbox also puts copies online. Files held in cloud-storage services are accessed using a username and password. Even though you’re accessing them via ‘the cloud’, such files do have a physical existence – on a server computer. It doesn’t matter where this server computer is: files stored in the cloud can be accessed anywhere, as long as there’s an internet connection. Why is cloud talk so popular? So why have so many companies chosen now to promote online applications? The reasons are availability and cost. Widespread access to affordable broadband with reliable mobile internet on 3G networks and the proliferation of Wi-Fi hotspots means people can get online almost anywhere and everywhere. As for cost, the economics of running web applications improve with rising use. With online storage, for example, as more people subscribe to services, economies of scale kick in and the cost per gigabyte falls. The growing popularity of online applications has led to more companies taking an interest. Apple, has recently launched iCloud, its attempt to get people to connect together all their (Apple) devices. The idea is that you can create a document or snap a photo on an iPad, view them on an iPhone and edit them later on an iMac desktop computer. All the versions are synchronised automatically, without the user having to think too much about how it all happens: no matter which device you’re on, the stuff you need will be there. There are many other cloud-based tools and services that you can access right now, and many of them are free. Projects can be easily shared with friends and colleagues and cloud tools remove the frustration of not being able to access something because it is on another computer. Cloud-based office suites, for instance, work just like Microsoft Office but exist entirely online, meaning they’re accessed and operated from inside a web browser, already mentioned Google Docs , but there are numerous alternatives, including Zoho and Microsoft’s own Office 365. There are disadvantages – most features can be used only when online, as the software behind tools for text creation and editing are on the server, not your PC. Both Google Docs and Zoho offer some way to work offline using plug-ins for Microsoft Office. Indeed, for the truly cloud-committed there are even operating systems and computers that are wholly reliant on the cloud. Google is leading the way with Chrome OS (which is distinct from Chrome, the web browser with which you may already be familiar). Chrome OS is based on existing Google software, such as the Chrome web browser and Google Docs. Switch on a Chromebook and you will see various web-based apps, such as Gmail, Google Calendar and so on. Much like with smartphones and tablet computers, additional apps can be installed from the Chrome Web Store. A big advantage of Chromebooks is that they run very quickly, as little computing work is performed on the device itself. However, the downside is that if you happen to be in a location where internet access is unavailable then a Chromebook is useless. Another option, which isn’t tied into Google’s own cloud services, is Joli OS. It works in a similar way to Chrome OS, but can be installed on almost any computer (and even alongside Windows). Fortunately, many cloud services have immediate and obvious benefits. Consider the music service Spotify, for instance. While an application must be downloaded to your local computer in order to use the service, the audio files and your playlists exist on Spotify’s server. As well as saving on hard disk storage, this allows you to download the Spotify software to any other computer, log into your account and instantly access your music library. Spotify does allow Premium subscribers to download tunes locally (so they can be played when internet access isn’t available) but the service embodies the cloud concept. Remember, too, that cloud computing isn’t all about storing things online: as we’ve seen, it is as much about keeping devices synchronised. As more people switch between tablets, smartphones, laptops and desktop PCs, there is a need for files available on one to be available on the other. Traditional synchronisation methods, such as emailing files to yourself or putting them on a USB memory key, are clunky and unreliable – but cloud services can do away with such inconvenience. Indeed, this is the key function of Apple’s iCloud service: total synchronisation of files between multiple Apple devices. A service called Dropbox works in a similar fashion is free to use and can be up and running in moments. It stores files online but also keeps synchronised local copies on any computer with Dropbox installed, so your files are always accessible and up-to-date. While Dropbox is a formidable file-synchronisation tool it doesn’t provide any of the tools needed to work with documents (though some smartphone versions of the Dropbox app do have built-in file viewers). Even though you can access files from almost any internet-connected device, editing them still requires the relevant software (such as Microsoft Word) to be installed. As a complement, or alternative, consider making use of a cloud-based office suite. We’ve mentioned Google Docs, which is a popular example. It’s free to use, though does require a Google account. To try it, launch a web browser and visit the Google Docs page and either log in or click the ‘Sign up for a new Google Account’ and follow the prompts. Once signed in a menu bar will appear at the top of the browser window – click Documents to view the Google Docs home page. Now click the Create new button and choose the type of document you’d like to create. Choosing Document, for example, will open a blank word-processor document. It can be named by clicking the ‘Untitled document’ label at the top of the page, while the document itself is fairly self-explanatory (it works just like Word). Changes are saved automatically and when you next log in to your Google Docs account – from any web browser – your documents will be available to be worked on right away. As well as practical uses, the cloud can also be a useful creative tool. The YouTube video editor can make simple changes to videos without needing additional software. Go to YouTube’s editor page and any clips you’ve uploaded to YouTube can be edited by adding text and transitions, cutting clips, or changing the brightness and contrast. There is also a large selection of Creative Commons video clips and sounds, too. Windows Live, available on Windows 7, includes Windows Live Photo Gallery and Movie Maker, both of which are cloud-based. Pixlr is an online photo editor that runs entirely from your web browser. Go to the Pixlr website and either click Open photo editor or Retro vintage effects. The former is a standard photo-editing suite with plenty of easy-to-use tools for improving photos, while the Retro vintage effects tool is a nice way to add interesting effects. Clearly, the cloud has many benefits but it also brings security and privacy concerns. Cloud data is stored on server computers in unknown locations around the world. So long as a user of a cloud service can access their data, this hardly matters – but what happens when things go wrong? 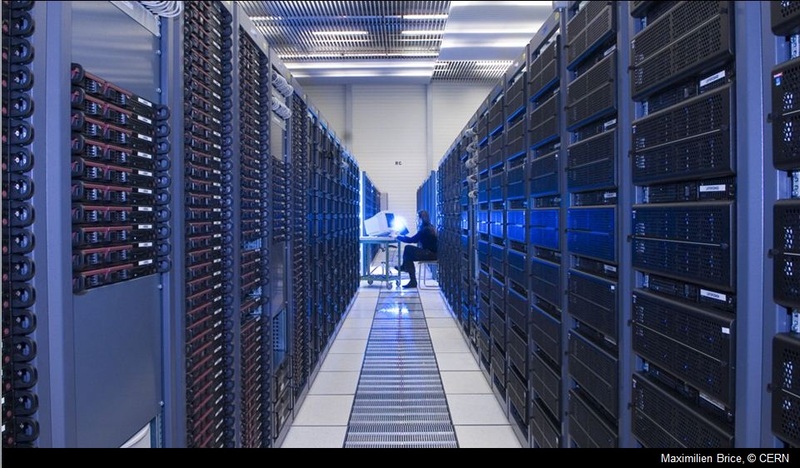 If there’s a fire in the cloud company’s server room or the firm goes bust, where is your data? These aren’t fantasy concerns. In April 2011, Amazon’s web-services business – known as AWS – became unavailable for several days following problems at a data center in Northern Virginia in the US. Amazon runs a vast number of web servers and allows other companies to rent space on them, so the websites of dozens of big-name firms went offline with AWS. This highlights a problem with relying entirely on cloud-based tools and services: you have little control over what happens to data stored elsewhere. Obviously Amazon is a big, well-resourced company and it sorted the problem – but many of its customers were inconvenienced for days. The cloud is really just a bunch of server computers on the internet and if something goes wrong, your data could be stolen or even lost forever – so it’s a good idea to back up stuff stored in the cloud. However, used wisely, the cloud can provide easy access to files and applications. Being able to get to what you need, whenever and wherever you are, is how computing should work, and that’s what the cloud does. There are lots of advantages to using cloud computing for international companies. One of the major ones is the flexibility that it offers. Cloud computing means that staff can access the files and data that they need even when they’re working remotely and/or outside office hours. As long as they can get on the Internet, staff can access information from home, on the road, from clients’ offices or even from a smartphone such as a BlackBerry or iPhone. Staff can also work collaboratively on files and documents, even when they’re not physically together. Documents can simultaneously be viewed and edited from multiple locations. Cloud computing can be very quick and easy to get up and running. Consider, for example, how quickly you can set up a Gmail or Hotmail account and start emailing – it takes minutes and all you need is a computer and the Internet. Downloading and installing software, on the other hand, takes much longer. Cloud computing is often cheaper and less labour-intensive for companies too. There is no need to buy and install expensive software because it’s already installed online remotely and you run it from there, not to mention the fact that many cloud computing applications are offered free of charge. The need to pay for extensive disk space is also removed. With cloud computing, you subscribe to the software, rather than buying it outright. This means that you only need to pay for it when you need it, and it also offers flexibility, in that it can be quickly and easily scaled up and down according to demand. This can be particularly advantageous when there are temporary peaks in demand, such as at Christmas or in summer, for example. 2. Regulatory compliance. Customers are ultimately responsible for the security and integrity of their own data, even when it is held by a service provider. Traditional service providers are subjected to external audits and security certifications. Cloud computing providers who refuse to undergo this scrutiny are “signalling that customers can only use them for the most trivial functions,” according to Gartner. Go to Menu and Follow Blog via Email. Give your email ID . Whenever I update my blog you will receive a mail notification . If you feel the article is interesting you can read.